I’m a strong advocate of Governments embracing a customer-centric portal, bringing together everything a business needs in your jurisdiction to start, grow and employ. It’s fantastic for your businesses as it makes it easier to navigate government and when done right saves them time and money. Better yet for government leaders, when you make it easy for businesses to start and grow they will have a far more favourable view of the government. They’ll naturally feel that the government understands their needs and cares about small business. From a political perspective that usually flows through to the ballot box. But it also has the compound impact that when businesses grow, they employ. That means unemployment is reduced (another political win for the government) but more fundamentally it develops much stronger communities and households. Put simply It is a win-win at the highest level. But what about a different approach? Maybe not a single one-stop shop for business, but instead niche specialized portals for specific business needs. How do they stack up in comparison? What are their benefits? Their disadvantages? And how can government leverage niche Government to Business portals as part of a broader strategy? This month there has been a hive of activity involving niche Government to Business portals. In the World Bank’s “Easy to do Business” report, a number of governments received a big thumbs up with their niche specialized Government to Business portals. Sometimes these were specific tax portals for business, or international trade or procurement activities. Regardless there was a big up-tick in these niche portals compared to a single one-stop shop for businesses. Responsibility often sits with a single minister or secretary for one key activity across government. This makes it easier to get approvals, allocate budget and lead transformational change across their agency or department. While there may be some other agencies or departments responsible for related elements, they tend to defer to the lead agency. As secondary players they will often want to be seen to support the desired direction. Providing content and support is a low risk means of achieving that. These secondary players will often have their own lead agency responsibility for other matters. By supporting a niche portal elsewhere, they can often leverage that success and make the argument to take the lead for their own portal relating to their primary responsibility. Jettisoning a now respected and known brand for the unknown. From the business customer’s perspective there is still a lot of great value in government delivering an effective niche portal. Fundamentally if it makes an aspect of their business when dealing with government easier and better. And that’s a positive. Each time I’ll focus on the good, the bad and the ugly about their approaches. I don’t do this to disparage them (in fact they’re getting free expert advice!) What matters to me is that you and your government organization can learn from their experience. By being more aware of where your peers do, you can deliver a better offering and proposition to businesses in your local jurisdiction. So wearing the customer’s hat I did what any Ontario business thinking of exporting would do. I went to Google.ca and searched for the keywords: Ontario exporting. Boom! First on the list was the Ontario Government’s Take your business global page. Yes, there is a lot of linking to other websites, but you can access pretty much everything you need about exporting from one location. Likewise it is part of the broader Ontario Government portal, but if viewed in isolation (as you do via Google) I guess you could consider it a portal, depending on your definition. But in fact this isn’t the export portal mentioned in the strategy and announced earlier this month by media release. 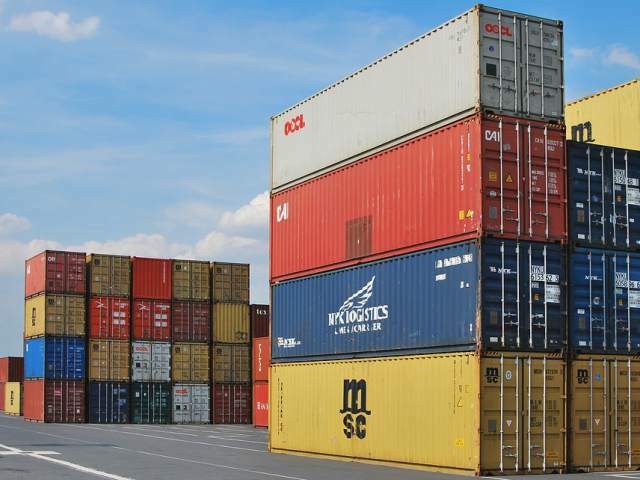 Enter the Magnet Export Business Portal. The Magnet Export Business Portal is heavily promoted by the Ontario Government from its Take your business global pages. But what intrigues me is why the Ontario Government wanted not just a niche portal for exporters, but decided to have a third party deliver it on their own web site. And while the Magnet Export portal displays Ontario Government branding saying it is funded by them and references access to programs from government bodies, it is strongly branded as an independent entity. It’s all about the “Magnet” Export Business portal. Not the Ontario Export Business portal. This in fact is a Google cardinal sin. The Ontario.ca domain authority is something many commercial providers would kill for. It is the primary reason why my search for “ontario exporting” brought them to number one in Google’s search engine results. And where is Magnet? After scroling through ten pages of Google results (which no-one in their right mind would normally do), Magnet was still not shown in the search engine results. I have discussed domain strategy in the past, but it is not rocket science. So let’s put aside for a moment the poor Google ranking of Magnet and assume an Ontario business reached the portal. They’d be hard-pressed to work out the relationship between who is Magnet and how does it relate to the Ontario Government. The website has no “About us” or “About this website” link or page leaving business customers no way of understanding the context of the relationship beyond it being “funded” by the Ontario Government. 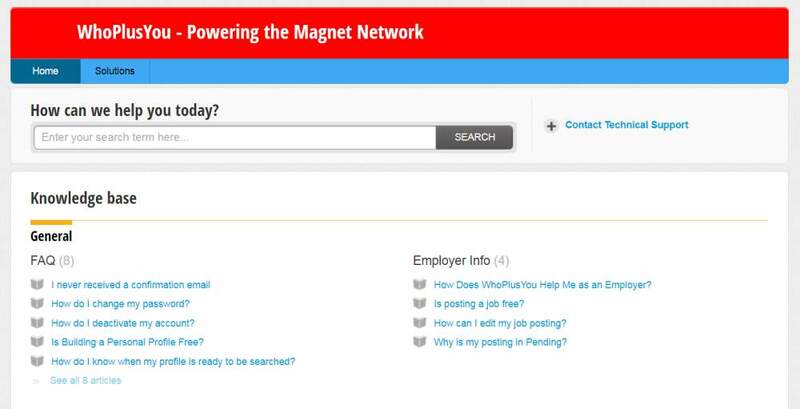 It is only from clicking on the Magnet home link in the top left of the page that you start discovering that Magnet is essentially a way of connecting job seekers to potential employers based on skill-sets. So it sounds a lot like taking an existing tool and extending it from there. Nothing wrong with that, but why Ontario would not deliver it directly on their own site is still an unexpected decision. I thought it’d be worth creating a profile to assess the Magnet export portal. While I see significant benefit to businesses to create a profile so content can be tailored to them and they can be kept informed about relevant developments by email, this should really be an option. Government should not restrict access to information about its programs. Sure you may need to create a profile to apply online for programs, but at a base level information about the programs should be easily accessible without having to log-in. But in creating a profile I noticed I needed to agree to the “WhoPlusYou” user agreement. This experience gets even more confusing for customers. Who is WhoPlusYou? And even more perplexing is the user agreement wording is all about access to their jobs and skills platform. There’s no reference to the export portal or anything in that context. Based on the press release and the nature of the questions about my business I had high expectations on what the Magnet Export portal would deliver. Unfortunately these were well and truly dashed. The homepage dashboard did pull in some export events, but of the two displayed events only one was relevant. The other not at all. My fictitious Ontario based business manufactured pet food and mattresses. I know, an interesting combination! I also created my profile saying I wasn’t currently exporting but was interested in doing so and that I was thinking of exporting to the United States, Mexico and the United Kingdom. So its recommendation of a New Exporters to Border States seminar for Manufacturers thinking about exporting to the US was perfect. But its second recommendation of a Health Information Management Systems tradeshow totally missed the mark - unless of course the mattresses and petfood I was manufacturing were integrated with a more health information management system! But what was of greatest disappointment wearing the customer’s hat was the lack of coordinated advice about getting started in exporting. The middle of the dashboard is a big, long generic list of blog posts about different aspects of exporting. But there was no clear groupings or information architecture. No guided pathway to discover information. The customer experience in their journey is sorely lacking. So no learning was going to be happening soon. Maybe it would be covered in the left hand navigation’s Support section? Alas no, that’s just for technical support in using the site. But I could list job opportunities. But what does that have to do with a niche portal aimed at exporters? Then I remembered, the Magnet platform was originally a jobs and skills networking platform between employers and prospective employees and students. So why would the Ontario Government push Magnet so much when it doesn’t allow you to do much beyond a slightly more high tech jobs message board? More troubling is the strong push from Take your business global to Magnet when it promises one thing and delivers another..
Ontario, as have most Canadian provinces, traditionally acts a great role model for digital service delivery. It seems most peculiar that they are going down this path. I can only assume that something truly spectacular is planned for release soon on the Magnet exporting portal that will make it a compelling proposition. Because at the moment, it unfortunately isn’t for Ontario businesses. In summary as niche Government to Business portals work, Ontario’s approach to exporting with Magnet clearly misses the mark. If due to your agency positioning you’re thinking of compartmentalizing your risk and achieving transformational change within a Government to Business niche portal, look more at Ontario’s Take your business global. Not the Magnet export portal.